It's probably to move, battle, and use skills & items all on one screen by using the virtual joypad on the left and right sides of the screen. Movement: Move left & right by using the joypad and tap both the Jump button on the right and Up arrow on the left to hang on ropes and ladders and get into portals. Battle: You can use skills by tapping the big sword-like button and the round smaller buttons as you select the needed abilities in the skill screen. Auto-battle: Didn't I mention Mobile Friendly? Sometimes, micromanaging game play can feel exhausting. Please use this button whenever you want to automate some of the more simple tasks and quests in the game. By simply tapping the "Auto" button, your characters will automatically slay monsters. 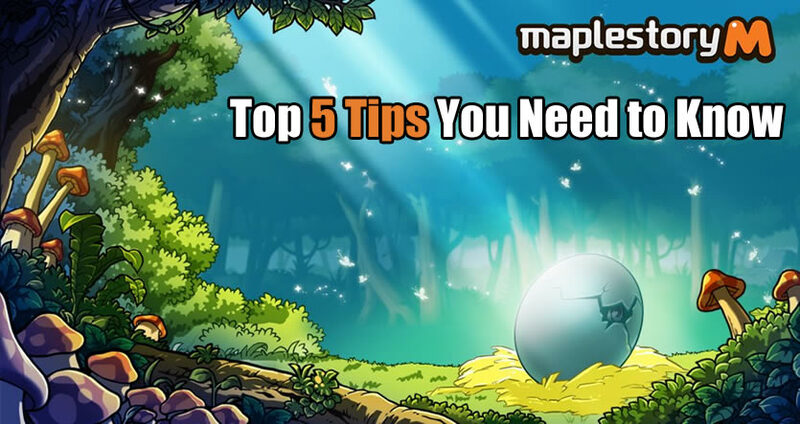 For those who lack the in-game mesos, ms4mesos.com is the best place to buy MapleStory M Mesos. 2. Take advantage of a Co-op Feature with Pets! Pets are very precious creatures that fight alongside Maplers within Maple World. You can employ the use of Normal pets and Mount pets - you can leverage them to play more efficiently. Normal Pets: All pets have the skill "Pick Up Items" as well as an assortment of other skills. They're also capable of boosting the stats of the player's character. Mount Pets: To help you on your journey, there are Mount pets always standing by. If you ride on an air vehicle like the Dragon Mount, you'll be able to soar through Maple World in style quickly! Fashionable Life: As well as providing functional features, you can enjoy a more fashionable lifestyle within Maple World by acquiring the right pets that accommodate your style. 3. We Can't Talk about Strategies for Evan Without Mentioning Mir the Dragon, his Companion! Evan is quite popular amongst many Maplers due to his heroic backstory. Evan is a small boy from a humble farm who becomes a hero after encountering the last descendent of the Onyx Dragon, "Mir." If you'd like to utilize Evan, you'll need to have to master playing co-op with Mir. A distinctive feature of Evan's that separates him from other classes is that he can use three types of capabilities: his skills, Mir's abilities, and Fusion skills. Evan can fight by himself and compete together with Mir as well. By leveraging those various skill controls, Maplers can deal plenty of attack damage during battle. With Evan's Hyper Expertise, you'll witness the most spectacular expertise within MapleStory M! Abilities like "Summon Onyx Dragon" calls forth an ancient Onyx dragon to assist in battles directly, while "Dragon Master" allows Evan to ride on Mir to slay monsters with powerful breath attacks. Skills are the significant characteristics that tend to make Evan so special. Players can attain victory by using Evan and Mir Skills' separately. On the other hand, players may also utilize Fusion Abilities - enabling the exact co-op mechanics of Evan and Mir to shine using! Fusion Capabilities are combo Expertise which can be shared between Mir and Evan. When activating particular Abilities for Evan and Mir, the two Skills will resonate and develop great damage to knock down monsters. These Fusion Skills are hugely reliant on player manage and timing. When you make use of the appropriate expertise at the ideal instances, you'll activate added Ability effects! As the combination of Evan and Mir makes Evan just about the most beloved classes in Maple World, be sure you make the most of their cooperative connection. As a final specific tip for Evan, MapleStory M's developers want to tension the importance of leveraging the "Return" Ability. The Return Ability causes Mir to return to Evan when Mir is performing a Talent immediately - this Ability grants Evan having a particular stat buff.